If you want an awesome selfie camera but the vivo X7 Plus is too pricey for you, try the new vivo V5. Its claim to fame is the 20MP front-facing camera. It uses a high-quality sensor too – a Sony IMX376, 1/2.78” – behind a bright f/2.0 aperture. There’s an LED flash on the front too, of course. These are some of the best specs for a selfie camera ever (the X7 has a 16MP selfie cam, the Xperia XA Ultra has a 16MP 1/2.6” sensor and OIS). 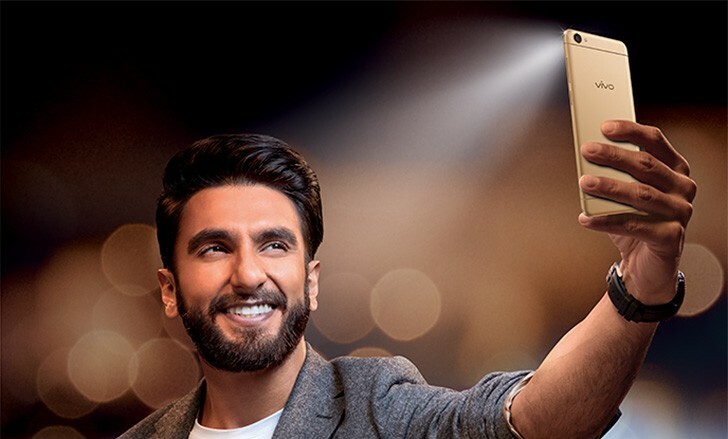 The main camera on the vivo V5 is plain in comparison – 13MP sensor with Phase Detection AF. Vivo is a little evasive with chipset and video recording specs, so we’ll assume 1080p video capture until we hear otherwise. 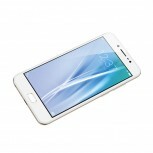 All this talk and we haven’t even mentioned the screen – it’s a 5.5” IPS LCD with only 720p resolution. There’s 2.5D curved Gorilla Glass guarding the screen and below that is a fingerprint reader that triggers in just 0.2 seconds. An unnamed octa-core processor is hooked up to a surprisingly generous 4GB of RAM. There’s also 32GB of storage built in and a microSD slot. 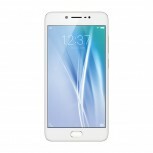 The OS is based on Android 6.0 Marshmallow with extensive Funtouch OS 2.6 customizations. They include Smart Split 2.0 – split-screen multitasking. 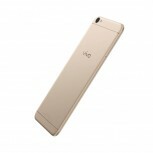 The vivo V5 has a metal body painted in Crown Gold or Grey, which measures 7.55mm thick and weighs 154g. Inside is a 3,000mAh battery and an AK4346 Hi-Fi audio chip that promises a signal-to-noise ratio of 115dB. The V5 is priced at INR 17,980 ($265/€245) and will be available starting November 26.